The granddaddy of all European sports cars is the 2-seat 1962-1964 Ferrari 250 GTO. This wasn’t a fast car produced for sale to the general public, but a genuine race car that was produced to drive on public streets. It was the gold standard of performance cars during the 1960s. When Pontiac released the 1964 Tempest GTO, which is officially considered the first American muscle car, Car and Driver magazine (March 1964 issue) had an illustrated cover picture that showed a comparison test between the 1964 Pontiac GTO and the Ferrari 250 GTO – and notice how I said illustration and not photo. It was Pontiac’s marketing genius at that time, Jim Wangers, who was the driving force behind this article. It was a brilliant PR maneuver taking the best sports car in the world and having it compete with Pontiac’s new muscle car. But it was all an illusion, to create the association that these cars were equals. Let’s be honest, there’s a reason why Pontiac borrowed the “GTO” name from Ferrari – the name meant something because the Ferrari GTO was just that great of a performance car. This association with the world’s fastest production car at that time would help to make the 1964 Pontiac GTO a sales success. 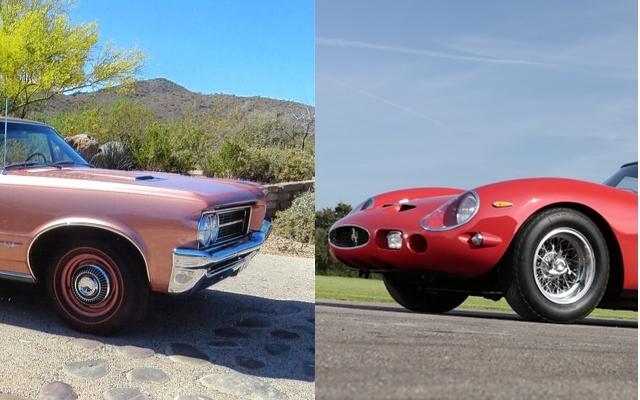 In reality the Car and Driver matchup was make believe, because in the real world the Ferrari GTO was in a different league than 1964 Pontiac GTO. The Pontiac GTO may have handled well for an American car but it was no match for the Ferrari GTO which was the world’s best handling car. Same was true when it came to acceleration, the Ferrari GTO accelerated so much quicker than the Pontiac GTO. Due to certain circumstances Car and Driver couldn’t test the cars side by side on the drag strip or on a race track. This was the reason an illustration not a photo was shown on the magazine cover since the matchup never happened. What did happen was Car and Driver test drove a 1964 Pontiac GTO and obtained 0-60 mph in 4.6 seconds and the quarter-mile in 13.1 seconds at 115 miles per hour. These numbers were incredible and put the Pontiac GTO right in Ferrari GTO performance territory. However what readers weren’t told was this Pontiac GTO wasn’t factory stock, the 348 gross horsepower triple 2-barrel carbureted 389 cubic-inch V8 which was the Pontiac GTO’s top engine option and listed in the magazine article as the engine in the test, couldn’t have possibly moved the 3,485-lb Pontiac GTO that quickly. 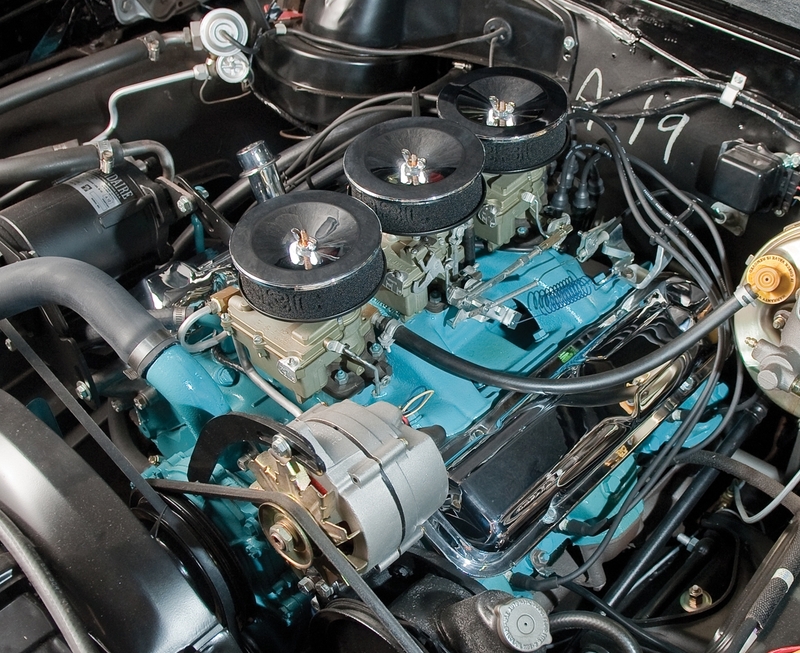 In the Pontiac GTO test car used by Car and Driver, Wangers had replaced this engine with a souped-up Pontiac 421 cubic-inch V8 which made at least if not well over 450 gross horsepower. A triple 2-barrel equipped 389 powered 1964 GTO did the quarter-mile in about 14.7 seconds which was very fast for its day but almost two seconds slower than hopped-up test car. The Ferrari GTO’s beautiful curves blended so well together. The long front hood, the short deck-lid, and fastback style roofline all blended together in perfect harmony. As great as the styling was, had it not been for its phenomenal performance, it would have been another pretty face with good performance like the Jaguar XKE of the same era. Instead its small-displacement 3.0 liter V12 engine produced a very impressive 302 horsepower. This was back in an era when 300 horsepower was a lot of grunt especially in a 1,940-lb car. The Ferrari GTO went 0-60 mph in 5.4 seconds and the quarter-mile in 13.1 seconds at 113 mph. Even more than 55 years later these figures are mighty impressive. The truth is, back in 1962-1964, nothing could touch the Ferrari GTO’s performance and handling. The Ferrari GTO came standard with a 5-speed manual transmission, two decades before U.S. automakers offered a 5-speed manual with its performance cars. For all these reasons the Ferrari GTO is a must drive car for any performance car fan’s bucket list. The Ferrari GTO currently has the highest monetary value of any production classic car. The 250 GTO was produced in very low numbers (only 39 were produced) – it’s a real rarity when one pops up for sale. When one does come on the market, it usually set sales records. In 2013 a Ferrari 250 GTO set the record with a sale price of $38 million and in June 2018 the record price almost doubled when a 1963 Ferrari 250 GTO sold for an amazing $70 million. Considering these high prices the probability of driving a Ferrari 250 GTO is as likely as a trip to Mars for most performance car fans. The 1964 Pontiac GTO on the other hand can be still be driven or owned by the average performance car fan, prices for mint conditioned examples run anywhere from $50,000 to $100,000 depending on options and other factors. In the end which car is better? It depends on your taste. If you want the ultimate classic exotic 2-seat sports car, the 1962-1964 Ferrari GTO 250 is that car. 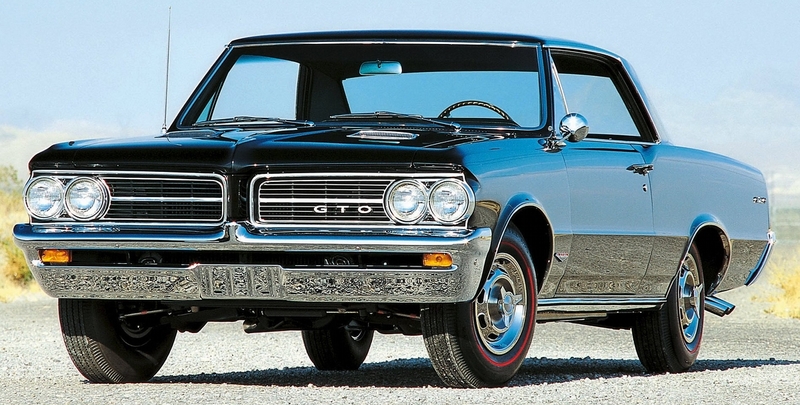 If you want a classic muscle car, it’s hard to beat the 1964 Pontiac GTO. The decision to pick which version of the GTO you want, the Ferrari or the Pontiac, is the same as deciding want you want for dinner – the finest caviar in the world or one great tasting cheeseburger.